On February 10th and 11th, the U11 International Indoor Football Tournament brought together the young hopes of tomorrow. Being one of the most important international U11 indoor football tournaments, this meeting allows, among others, young children to compete against the most famous clubs in Europe. Emotions, talents and discoveries, young people under 11 years old gave us chills in past matches. Before meeting the biggest clubs in Europe in 2019 again, NV Logistics, main sponsor of the event, invites you to (re) discover the 7th edition by watching this video. 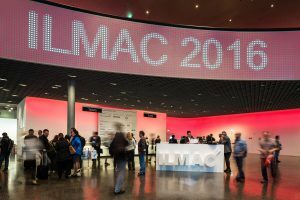 NV Logistics will attend the ILMAC Lausanne on 4th & 5th Oct. 2017. You can meet us on stand C33. When it comes to shipping equipment and providing event services – to complete an event production, say sport venue, sponsor event or trade show, you may still uses basic or legacy solution. They spend more time on phone calls, emails and shared documents, hunting for resources and juggling schedules. 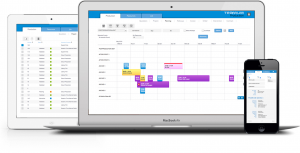 It takes hours instead of minutes and days instead of hours to plan and manage your event logistics. The result is more visibility, higher tracking, lower stress level. Teamium® aims to bring the event production management process to the digital age by providing a disruptive first to market SaaS centralized platform for event production. Save tremendous time in hosting your equipment asset in our cloud application and reduce spreadsheet errors which could impact seriously your event deadline.